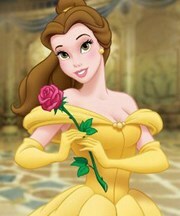 I am just getting in touch with you following our wedding on DATE at VENUE. I wasn’t present when you arrived with the cake but was told by venue staff that the bottom tier collapsed and that you had accepted and acknowledged this and as a result the remaining three higher tiers were also all cracked and damaged as a result. I’ve attached the photos for your reference in which it shows cracks, damage and the icing shapeless in places. In addition, the largest tier was to be white chocolate and raspberry, however, from the tasting we attended at yours to the bottom tier (that in part was kept) was vastly different in taste and visually and in no way similar, the bottom tier we would compare and liken to a Victoria sponge. We chose the white chocolate and raspberry for our bottom tier as this was our favourite and feel thoroughly disappointed with the product received which does not give rise to our expectations having met and discussed the end product with you. As I am sure you will understand a wedding is a huge, important and symbolic day for any couple and their family, as it only comes around once, and that as a result most couples (like us) paid out huge amounts for a photographer too in order to capture every possible moment of our day and worked hard to make sure that every little touch is how we want it. 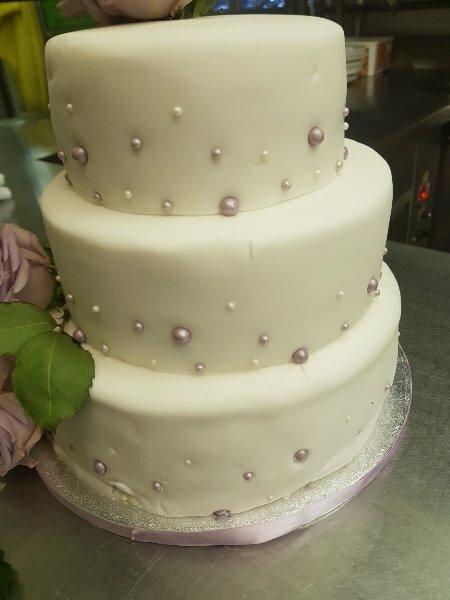 We have been left feeling upset and disappointed about the cake, especially given the significance of the cake which is also used as a centrepiece, photo opportunity and symbolic with weddings so I am surprised that you have not been in touch with us since our wedding in order to seek a way forward on your thoughts to rectify this. Please could I ask that you contact us in order to discuss a way that the above can be rectified as we recognise that it is important to address these issues with you directly in the first instance. I am really sorry for what has happened, I will attach the image to how it was decorated. Unfortunately because of the hot weather white transport the bottom tier collapsed. And because of the time short, I could not re do your cake. In such situations we would re decorate your cake . I am more than happy to refund you £80.00 as a compensation. This is the first time we have had this kind of situation. The bottom tier was white chocolate and raspberry with white chocolate chunks covered in white chocolate ganache. Because of the weather being hot and causing the ganache to get very soft, could result in a different taste. I deeply apologise for what has happened, and completely understand where you are coming from. As we were short of time , we could not redecorate the cake. I had gone back home to get all my decorating equipment and materials. £80! She's having a laugh! I bet you paid at least double that! You should get a FULL refund! We paid £300 for our cake and this isn't even a third off. I'm really disappointed as every tier was spoilt as a result and the bottom tier (of what was saved) had no raspberries in it so in my eyes it isn't just "a change in flavour due to temperature". Our wedding was on Sunday morning so it was not above 20C by this time. We were not advised at the time that having a June wedding risked a collapse or that the ganache could cause collapse either. How much did you pay for the cake originally? I agree, should be a full refund and I'd explain that it was unprofessional for her ti not contact you immediately too! If its as bad as you are describing (which sounds awful!!! poor you!) I probably would have sent someone off to the nearest M&S for a few of their bog standard white iced cakes and jazzed it up with flowers etc. I do understand about not wanting to stress a bride out on the morning but effectively SOMETHING could have been done about it with notice. How far was she from your venue? Why couldnt she have gone back and got a 'dummy' cake... (most professional cake decorators display these in their shop) and jazzed it up a bit to look suitable for display, and you could have just cut and ate the other one! Its like if you bought a dress and it's delivered ripped, you'd return for a full refund. Obviously returning the cake would have been of no use to anyone and you did still eaaaattttt it so I guess she has a small leg to stand on there but as the ingredients for the cake itself would have been of minimal cost, and you require full refund for the decoration costs, I'd expect this ti be WAY higher than £80!!!! that's so so awful! she should have been in touch with you after the wedding if she didn't want to stress you on the day, or even left a note saying really sorry about whats happened and she would fully refund you! I hope it didn't dampen your day!! I'd be taking this public and posting reviews on her social media accounts etc. This is a disgrace - £80 is an insult. Yes we paid £300 so she's not even offered a third back. She is an at home cake maker (but Environmental Health checked etc) so it guess she was unlikely to have a dummy cake available. I anticipated her contacting me the day or so after to apologise but heard nothing which annoys me more to be honest as I find that quite sneaky and she emailed me back within two hours of my email. 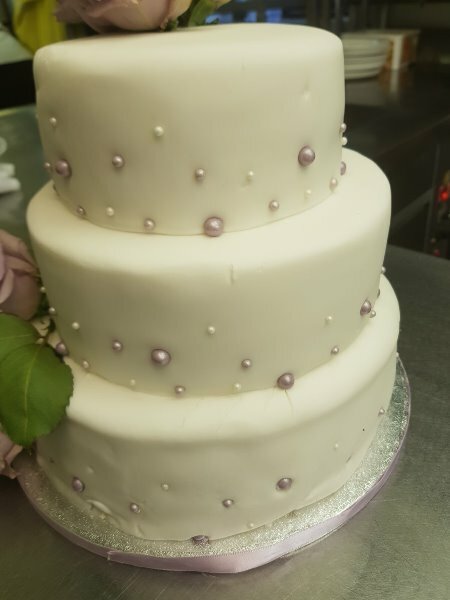 She is around 30 mins drive from the venue but it was her agreement (even n the Friday) to transport the cake as I called her to check that this was still ok - I wouldn't say I should be penalised because she did not use refridgeration during travel either but then I'm emotionally attached. My husband suggested £100 but I kind of don't feel that's enough! My plan is to post Facebook, Google etc. reviews if we can't come to a satisfactory outcome but wanted to see what she suggested first of all. 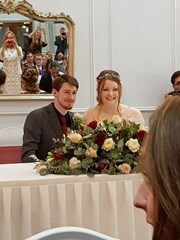 I was too busy on the day so I only have a guests photos which aren't great but I'm just gutted that it wasn't what we asked for, end of. It is delicious (except the biggest tier broken and NO raspberries) which is why I'm so conflicted. The photos doesn't do it justice, the icing on the top looked mis-shapen like when it's not been smoothed on properly if that makes sense! It looks like its been transported as one full cake already stacked? If that WAS the case then that's the problem, and she clearly did not have the experience or expertise! A multi tier cake should always be packed in separate boxes and then stacked once it reaches the venue or this happens! It also seems like maybe the ganache hadn't had enough time to chill and set properly before she iced (which also explains why the icing did not appear smooth as you expected). I also didn't realise that hot weather makes our taste buds change. Who knew! That's very patronising to suggest you wouldn't know what the bottom tier was. Thanks guys for your helpfulness in making me feel less crazy about this. I will check with guests about whether it came into the venue pre-built but I suspect it did given your explanation and I appreciate all your honesty. 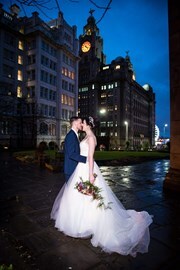 I know with weddings everything gets bumped up in price and you just have to take it on the chin really. Oh my that cake is a bit of a mess... I would be super unhappy. It just looks badly made to be honest, nothing to do with the weather! I can't believe a pro cake maker would let that cake go to a wedding. I would go after a full refund. Take it to small claims if need be. It's not good enough!! I would echo the posters who have said that the cake looks like the original construction and finish was poor. 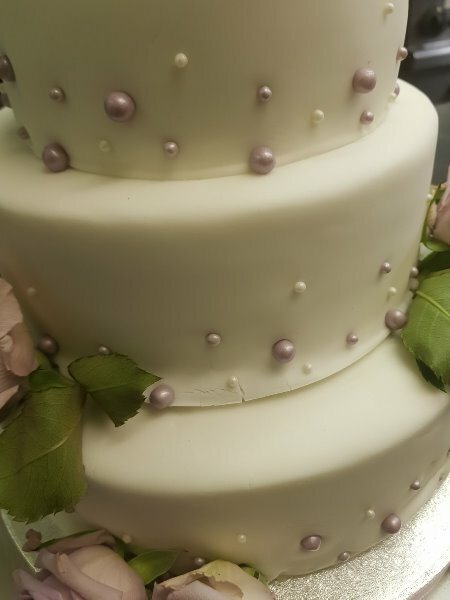 I have made hundreds of tiered wedding cakes and transport all 3 tiers cakes ready stacked and have never experienced the damage shown in your photos (And some of my cakes have travelled over 100 miles, and I use ganache with no trouble even in the height of summer). I would be pushing for a full refund and would suggest small claims court as the product was not as contracted. Good luck. Gosh when I saw the pictures I was expecting something far grander than that for the money . I would have been disappointed too. I hope you get some money back. You should be seeking a full refund on that. I'd go as far as compensation for damages too to be honest. Even without it collapsing the finish is shoddy. It's not smoothed, the icing is warped, it's just a very low standard. I mean it's a wedding cake and she's not iced her board!!!!!!! This infuriates me. Ergh. It appears the cake was dowelled but looks like the dowels were far too short that it's not actually supporting the tier above? Anyways. Go hard on this woman. She should not advertise as a competent cake maker if she is not capable... a wedding cake is not the time to try something new. 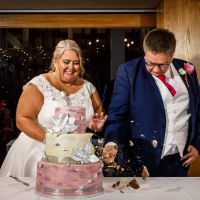 Go for a full refund, not only did she majorly rip you off in the first place for a 3 tier simple design made at home (I was quoted £250 for a 4 tier cake by an at home baker with more going on design wise, luckily one I know and trust so I hopefully wont have this!) but its just a shambles, even without the collapse. 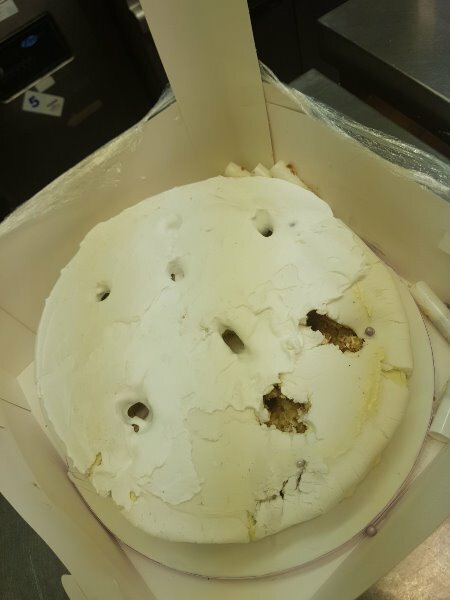 The icing is a mess, the stand is on show as mentioned above and the sponge doesnt look great from what I can see, but that may be because of whats happened. It just looks like a dry cardboardy sponge. I hope some of it still tasted good at least, id be gutted if this happened, I love cake!